This article contain a list of some of the greatest kid friendly hotels in Michigan, USA for fun family vacations and holidays. 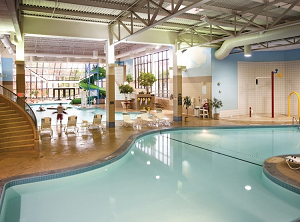 Here you will find Michigan hotels and resorts with a wide range of family friendly amenities and activities such as: family suits with kitchen facilities – refrigerator, microwave, coffee maker, children menu, outdoor and indoor pool, hot tub, whirlpool, fitness center, restaurants, business center, and more. The kid friendly hotels are in Detriot, Mackinac Island, Sierra Sands, Grand Rapids, Grand Blanc, Acme, Frankenmuth. Are you looking for fun and interesting places to experience on your Michigan vacation? This is one of the best family and kid friendly hotels in Michigan for unforgettable family vacations and holidays. Generations of American diners, lodgers and tourists have discovered true Bavarian hospitality without crossing an ocean. A wide range of guestrooms – Standards, Kings, Whirlpools, Family Suites and mini suites. 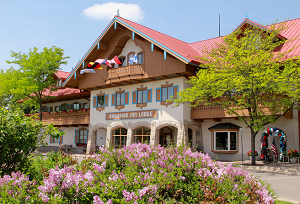 The tour of the Lodge will take you from the Lobby and Courtyard through the Lorelei Lounge, the River Rooms, the Composer Rooms, and all the way through the Fun Center and Ratskeller to the Waterfall Pool. This tour is approximately 1/8th of a mile – one way. 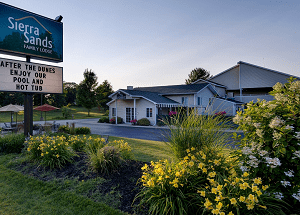 Seven acres of family and kid fun at the Bavarian Inn Lodge – including the indoor waterpark with four indoor pools, three whirlpools and two water slides, Bavarian-themed 18-hole miniature golf course, and more. Family-style chicken dinners and authentic German dishes. Sample Michigan’s greatest selection of German beers and much more in this spectacular place for fun family vacations. One of the greatest kid friendly hotels in Michigan for memorable family vacations and breaks. Set in the heart of Harmonie Park, the hotel is surrounded by shops, restaurants and entertainment venues such as Ford Field and Comerica Park. 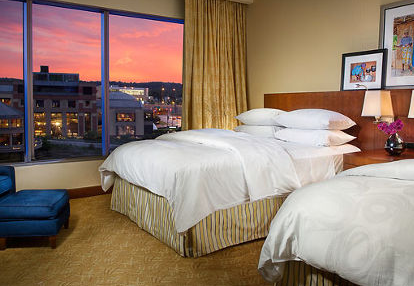 The hotel guestrooms are: stylish standard rooms, one-bedroom suites, or accessible room. Suits are perfect for families and include refrigerator, microwave, coffee maker, high-speed internet access and more. The hotel also offers and Whirlpool Suites with an oversized whirlpool tub. Some of the facilities are: Business Center, Meeting Rooms, Family Friendly facilities (Children’s Menu, Cribs, High chairs,), Room Service, Fitness Center, Pool, Bar, restaurant, and pantry, and more. One of the greatest family and kid friendly hotels in Michigan. 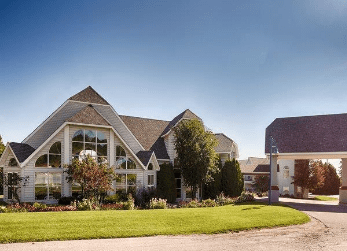 Situated on 800 feet of Straits of Mackinac Shoreline with five separate buildings across eleven acres, this place is one of the best family friendly resorts and kid friendly hotels in Michigan for memorable family vacations and holidays. Guests searching for a true family getaway have found it at this resort style property with two heated pools and the best in hospitality are waiting. Conveniently located close to the Mackinac Island ferries, restaurants, shopping and all northern Michigan attractions, you can spend the mornings antiquing and the afternoon strolling around the island. Some of the hotel amenities are: Fitness Center, Meeting Room, Hot Tub, High Speed Internet, Indoor pool – heated, Outdoor pool – heated, Parking for the physically challenged, and much more. Playground Large children’s playground area with climbing, slides and tunnels. Great fun! Some of the room facilities are: Cable or satellite television, HDTV, Coffee/tea maker, Refrigerator, Air-conditioning, High-speed wireless Internet access, Whirlpool suites and more. Sierra Sands Family Lodge is ideally located at Silver Lake Sand Dunes. This place is one of the best family friendly resorts and kid friendly hotels in Michigan – with an enormous number of activities that will ensure the most enjoyable vacation ever. The hotel offers a selection of rooms that will fit the needs of you and your family: Two Bedroom Family Suite, Mini Family Suite, Kids Suite, Queen Suite, Deluxe Room and more. Some of the facilities in rooms are: kitchen facilities such as: Refrigerator, Microwave, Breakfast Bar; In room wi-fi, Cable TV, Hair Dryer and much more. The kids and grown-ups alike, will be pleased with the pool, spa and recreational area that includes a basketball court, playground equipment, picnic tables and grills. There are many fun things to do in and around the Silver Lake area such as: MacWoods Dune Rides, Craig’s Cruisers Family Fun Center, Wave Club Watersports Rentals, Country Dairy Tours, Rainbow Ranch Horseback Riding, Hart-Montague Bike Trail and much more. One of the best kid friendly hotels in Michigan for great family vacations. Here you can experience the ambiance of the Grand River, Lake Michigan and the historic city of Grand Haven, MI. 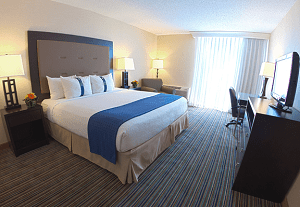 Located just 31 miles West of Grand Rapids, the newly renovated Grand Haven – Spring Lake Holiday Inn can provide a joyous experience for you and your family. Some of the hotel amenities are: indoor pool and hot tub, outdoor pool, fitness center with modern equipment, Game Room equipped with the Xbox, Kinect and Wii gaming systems, business center, family fun activities, on-site restaurant overlooking the Grand River and more. The Holiday Inn Kids Club hosts organized children’s activities under supervised conditions creating a safe environment. One of the best kid friendly hotels in Michigan for unforgettable fun family vacations and holidays. At Grand Traverse Resort and Spa, your Michigan family vacation comes to life with a 900 acre backdrop of rolling greens, woodlands and beach, surrounded by orchards, vineyards and the beautiful blue waters of Lake Michigan. Award winning destination delivers it all: exceptional services such as golf, tennis, spa, dining, shopping and more. 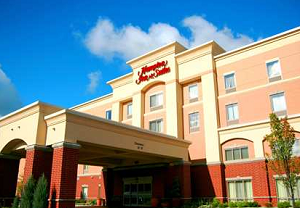 It is one of the best family friendly and kid friendly hotels in Michigan. Water-loving families flock to The Shores Condominiums, nestled along East Grand Traverse Bay, while couples who desire a more intimate setting may retreat to the landmark, 17-story glass Tower for panoramic views of Lake Michigan and all three championship golf courses. Situated just six miles northeast of Traverse City, Michigan, we’re your launch pad to exploring this rewarding northern Michigan region. Situated in the heart of downtown Grand Rapids, Michigan, the JW Marriott Grand Rapids is one of the greatest family and kid friendly hotels in Michigan for great family vacations and holidays. The hotel offer well-appointed, smoke-free rooms and suites. Each of which is outfitted with atypical amenities like a 37″ plasma TV, as well as numerous other uncommon personal luxuries. Some of the hotel amenities are: Full Service Spa, Fitness center, Pool, Free high speed Internet, Room service, 24-hour, and much more. 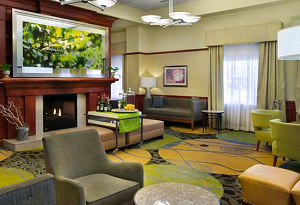 This beautiful, modern and artistically designed hotel is the closest hotel to Bishop International Airport and one pf the greatest kid friendly hotels in Michigan. The hotel offers guest rooms including suites, whirlpool and accessible rooms. Some of the amenities of suits are: Sofa bed, kitchen area with microwave, mini-refrigerator; desk, free WiFi, 37-inch LCD flat-screen HDTV. Fully equipped 2,024 sq. ft meeting room for any event and 24 hours business center. For Your Family’s Comfort and Convenience: Cribs and High chairs. Non-Smoking – 100% non-smoking hotel. See also romantic hotels in Michigan for vacations and holidays for couples.